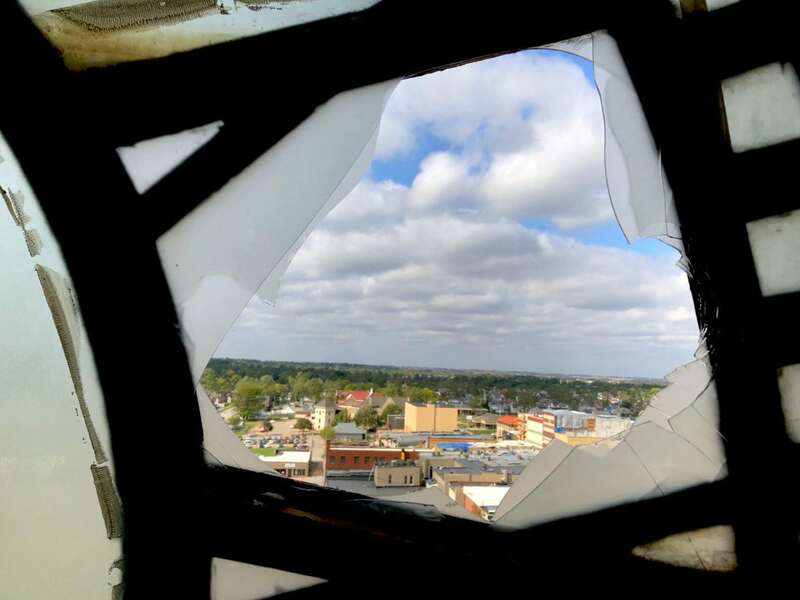 T-R PHOTO BY EMILY BARSKE - An outlook through the courthouse clock tower shows part of downtown Marshalltown. 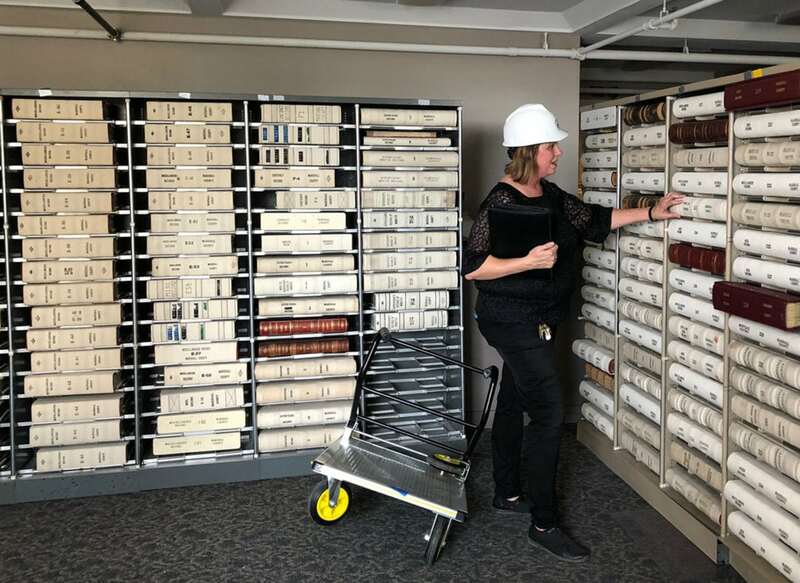 The hallways and rotunda of the Marshall County Courthouse have been silenced from the usual hustle and bustle — replaced now with the sound of hammers, saws, fans and cleaning crews who have worked almost around the clock following the July 19 tornado. Since the day after the devastating storm, only a few county employees have been able to return to their offices: the county attorneys, Geographic Information System (GIS) workers and those who oversee Information Technology (IT), with no one from the general public allowed inside the premises. The only accessible entryways resemble tunnels, intended to thwart any falling debris. Caution and do not enter signs warn of the possible danger. The majority of the internal damage to the courthouse was sustained to its east side, due to the path of the tornado. Rooms on this side have been vacated. The musty scent of standing water still permeates the air. Stripped floors have been covered in brown paper. 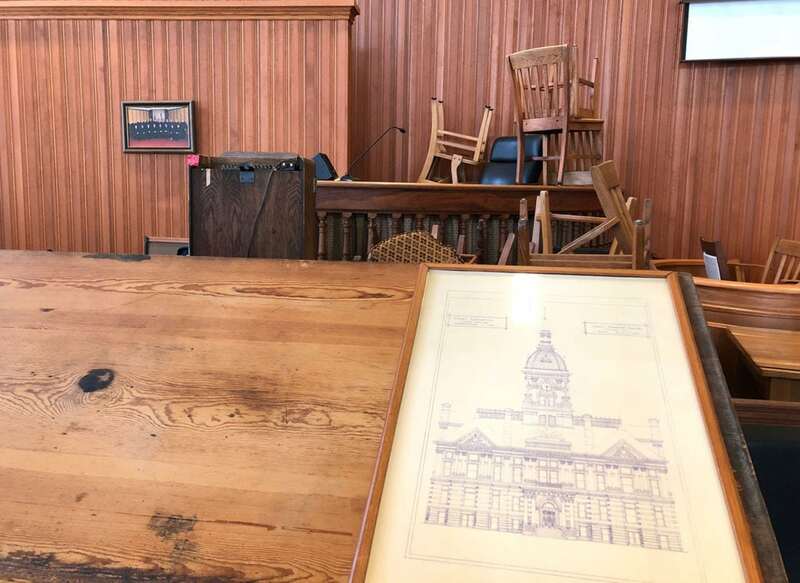 Maintaining the structural integrity of a 132-year-old courthouse with a wooden skeleton, has been a complex process. Tubes were threaded through doorways that then blasted hot air into the rooms. 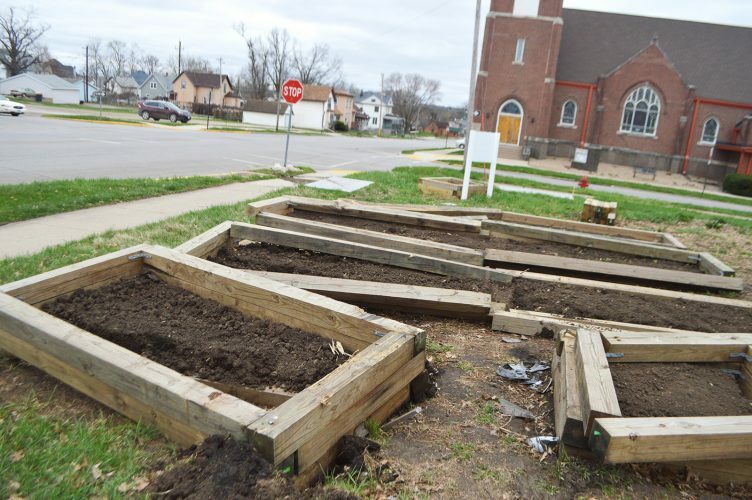 “It was 102 and 103-1/2 degrees in there and normally a building is taken up to a higher heat, but that would have damaged the wood,” Marshall County Auditor/Recorder Nan Benson said. 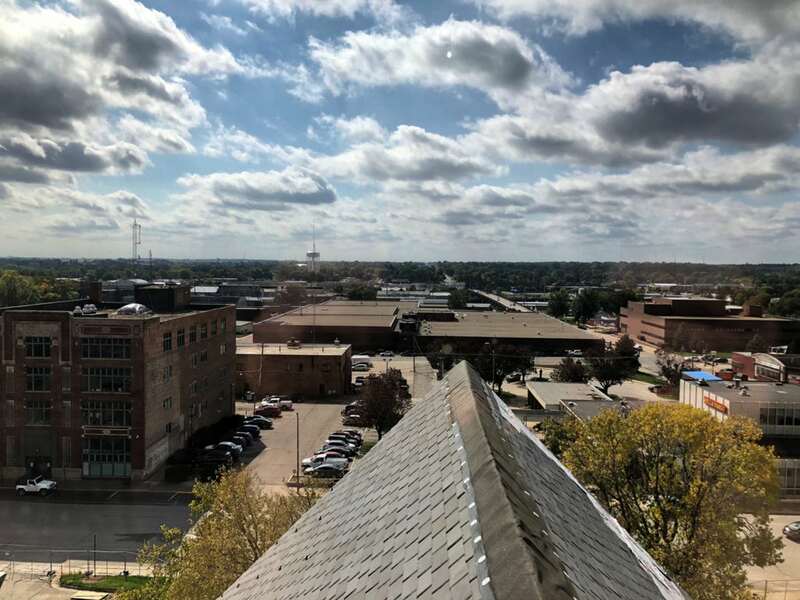 T-R PHOTO BY EMILY BARSKE - An outlook south of the courthouse shows one of the Marshalltown water towers in the distance. Damage to the building was most apparent on its east side. Dust, dirt and other grime still clings to railings and steps. Discarded, soggy ceiling tiles expose a myriad of wires. The courthouse serves as the repository of the county’s vital records and property deeds, stored in the upstairs stack rooms. Miraculously, none of these delicate, aged documents sustained serious damage. “Water was coming in so we moved the books that night and put up towels in the ceiling,” Benson said. Each of those books weigh 25-40 pounds, which requires special storing. T-R PHOTO BY EMILY BARSKE - Marshall Country Auditor/Record Nan Benson shows some of the records that had to be moved to keep them safe from water damage. 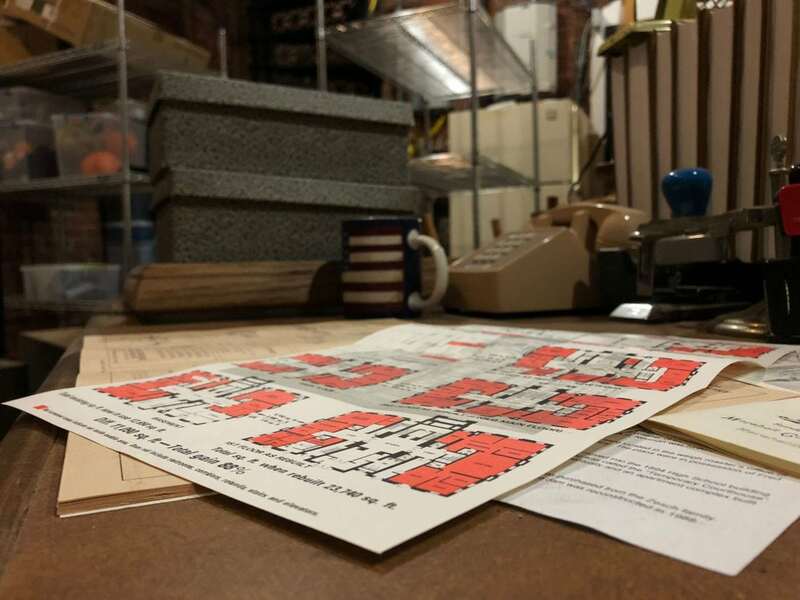 “The floor of the stack rooms are designed to hold 300 pounds per square foot,” Marshall County Buildings and Grounds Director Lucas Baedke said. The collection of these records has been split to accommodate weight restrictions in the other parts of the building. 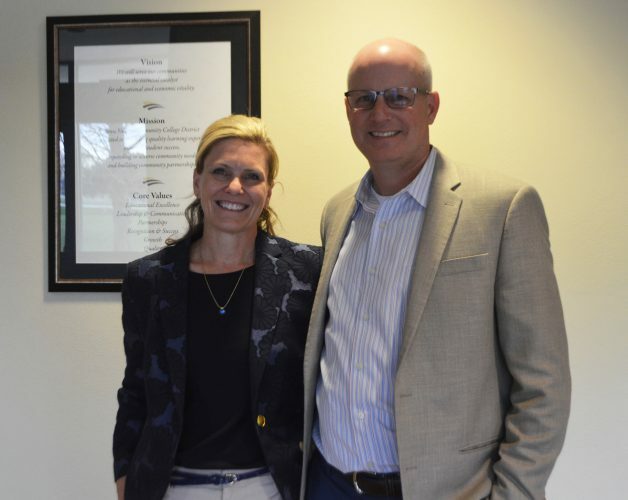 “We moved all the indexing books so people can look up what they need at Great Western Bank. If they need a copy of something, my staff comes over to the courthouse twice a week and makes those copies for them,” Benson said. The attic, with its exposed wooden beams, is a visage of the past. One beam shows damage from the impact the roof sustained after the 16-foot tall cupola came crumbling to the ground, hitting this area on the way down. The cupola and several of the fallen chimneys broke a total of three sprinkler lines, which unleashed a literal floodgate of water into the courthouse. The wooded furnishings of the small courtroom — a former law library — suffered the most harm. Fortunately, the historically preserved grand courtroom, located on the westside of the building, survived unscathed and now harbors antiques and other valuables. T-R PHOTO BY EMILY BARSKE - Historic documents and items are scatter throughout the building after being moved away from damaged areas. The grand courtroom is where the special precinct board is going to meet to count the absentee ballots, beginning on Nov. 5. Benson said the renovation efforts will continue into the winter and elevators will be installed on the scaffolding. The work zone will be enclosed. The project is estimated to take a year to complete, with costs to exceed $15.5 million, covered by insurance. 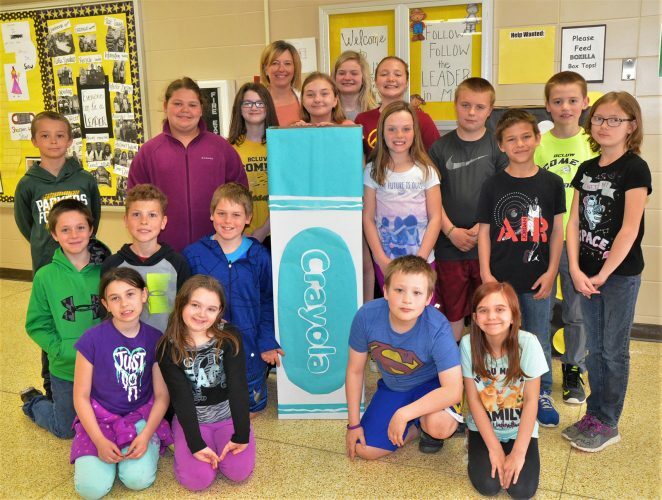 “But there is just so much to do and there will be some limitations in the winter,” Benson said. T-R PHOTO BY EMILY BARSKE - One of the courtrooms that didn’t see damage stores materials from parts of the building that were damaged. 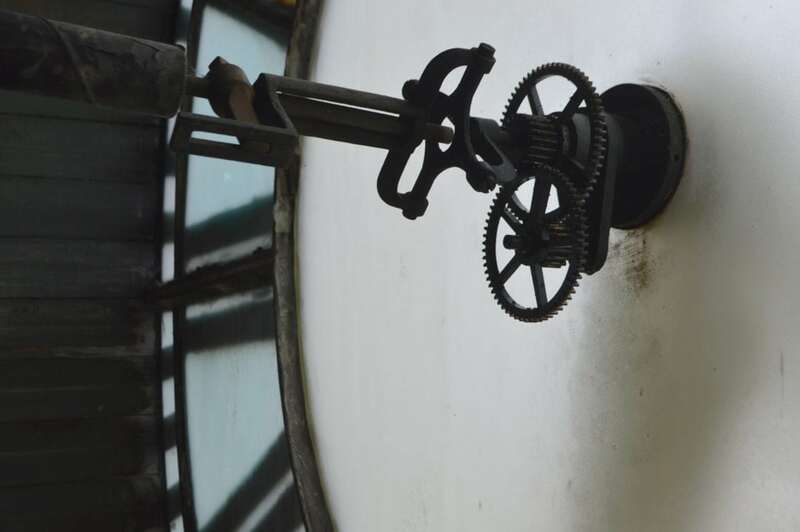 T-R PHOTO BY EMILY BARSKE - Inner workings of the Marshall County Courthouse clock tower are under repair from the July 19 tornado. 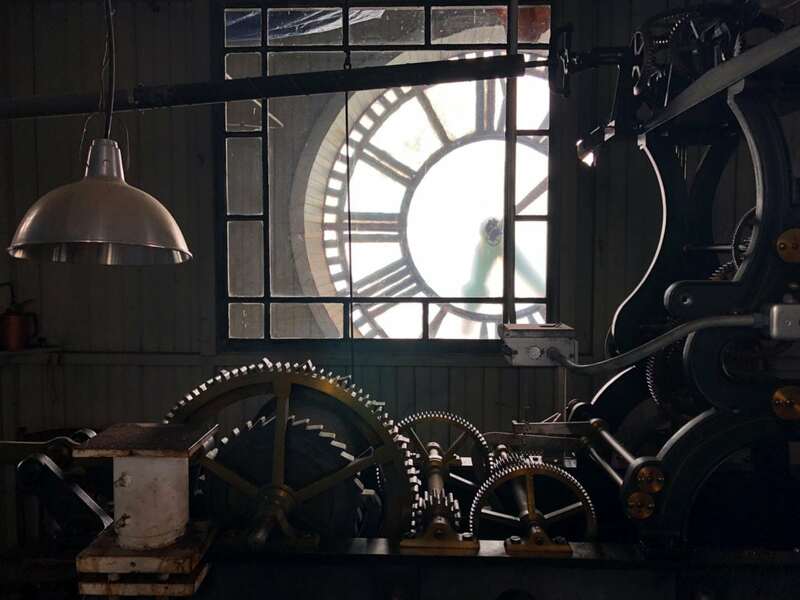 T-R PHOTO BY EMILY BARSKE - The clock tower lost its copula in the July 19 tornado.